When we first received Corsair's H100i RGB Platinum and H115i RGB Platinum, we expected to see the same performance levels to the company's existing H1XXi RGB Pro models. Upon first glance, both models appear to be the same, but under the hood we have found some startling differences. With their RGB Platinum series, Corsair has decided to team up with CoolIT, moving away from the Asetek design used in the PRO RGB series, while also transitioning to faster fans that offer the same speeds as boxed Corsair fans. This means that Corsair is using a new coldplate design with their RGB Platinum series, as well as a quieter pump, both of which are designed to offer end-users increased performance. Corsair has put a lot of effort into making these new AIO designs their own, so much so that we were convinced that these were Asetek-made units when we opened the box. This isn't just a reboxed, off-the-shelf OEM design; Corsair has made sure that these units are distinctly theirs, which is great news for those who want to utilise Corsair's latest models while retaining the same modern Corsair AIO look. The use of a broader baseplate on the H1XXi RGB Platinum series also offers advantages on processors with larger sockets, especially AMD's TR4/Threadripper platform, which benefits from the use of coolers with more extensive IHS coverage. While this isn't a full IHS covering water block for Threadripper, this is a close as we can set to it while retaining support for mainstream CPU sockets. We certainly appreciate this versatility. On the performance front, we must admit that we are impressed. At first, we thought that something was wrong with our testing, but after lengthy retests we had to include that the H100i/H115i RGB Platinum series was just that good, getting surprising close to Corsair's impressive 360mm H150i RGB PRO series cooler. Naysayers will comment that "it has faster fans, of course it runs cooler! ", but after some brief testing using the stock fans of H1XXi PRO RGB series coolers, we can conclude that Corsair's pump/block redesign has had a positive impact on thermal performance. Yes, slower fans will result in a warmer AIO, but the H115i RGB Platinum still offered a performance benefit over its PRO RGB counterpart when using the same fans. When using Corsair's "Balanced" fan profile, were gobsmacked by the cooling performance that Corsair has available, managing to outperform their PRO RGB counterparts while offering similar pricing and an extended feature set. Corsair has added a lot to their RGB Platinum series, while only commanding a meagre £5 price premium over their PRO RGB equivalents. That's not much of an add-on for addressable RGB support, which comes in both the pump and fans of the H1XXi RGB Platinum series. Pricing-wise, it's hard not to be impressed by the RGB Platinum series, with the 240mm H100i model coming with an MSRP fo £124.99 in the UK while the 280mm H115i model comes with an MSRP for £139.99. As we said previously, both models are only £5 more expensive than it's RGB PRO equivalents on Corsair's website, which isn't much when considering the ARGB Fans/Pump and the performance improvements that Corsair is offering with the RGB Platinum series. As a full package, Corsair H100i RGB Platinum and H115i RGB Platinum offer a clear performance advantage over their predecessors, while also delivering the functionality of ARGB LEDs on both the unit's pump and fans. Those who detest RGB can choose to select a single colour option for static lighting, or even turn the LEDs off entirely if they wish. 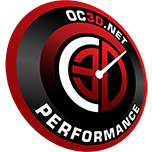 For this review, we have decided to award both the H100i RGB Platinum and H115i RGB Platinum the OC3D Performance Award, as befits a cooler that can offer such a generational performance advantage over its predecessor. You can join the discussion on the Corsair H100i RGB Platinum and H115i RGB Platinum on the OC3D Forums. 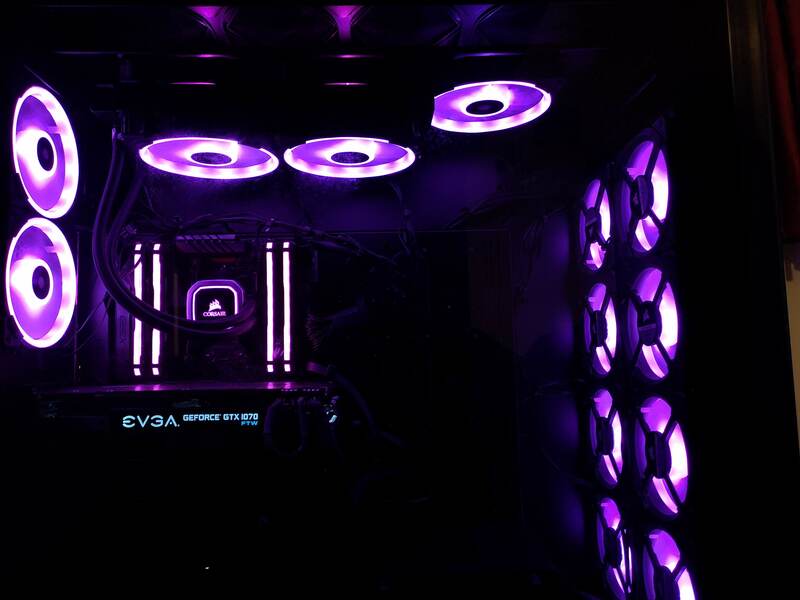 The color co-ordination made possible by Corsair iCUE software and the H115i Platinum makes this 1000D build look awesome.